Opaque ruby black color. Fruity, floral, toasty aromas of candied violets, dark berries, mocha, and clay - baked parchment with a slightly chewy, lively, dry full body and a peppery, intriguing, brisk finish with earthy tannins and moderate oak flavor. Liked this mostly for its lingering balanced, easy flavors. Bottom Line: Liked this mostly for its lingering balanced, easy flavors. 'Other Red' is a catch-all category for both uncommon grape varietals and uncommon combinations of varietals. There are little pockets of other red varietals grown throughout the US. 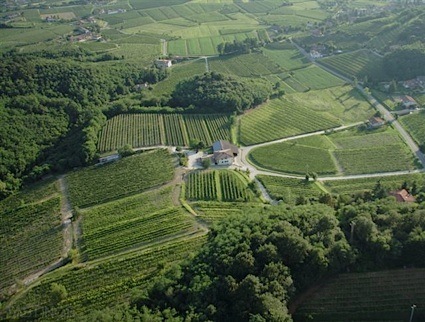 In California, Italian varietals such as Barbera, Gignolino, Primitivo, and Nebbiolo and esoteric Rhone varietals like Cinsault and Carignano can be found. Tempranillo, best known as the principal red variety of Spain’s Rioja, can also be found in small plantings in the Southwest where hot grown conditions favor the grape. Many producers throughout the US produce blends of Bordeaux with non-Bordeaux varietals such as Zinfandel, Petit Sirah, Syrah and even hybrids like Chambourcin that fall under our Other US Red category. 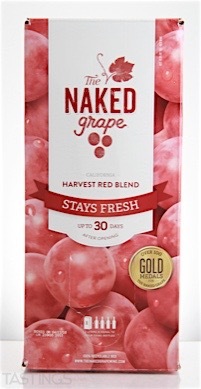 The Naked Grape NV Harvest Red Blend, California rating was calculated by tastings.com to be 83 points out of 100 on 9/19/2016. Please note that MSRP may have changed since the date of our review.